Okay, I admit, I'm not one to tolerate cognitive dissonance in others for very long. I want to dissect it until the internally conflicted belief or viewpoint is cut open for all to see. I can cut pretty deep, too. And occasionally, I do it to myself (and that's what really hurts, as the song goes.) In a fit of honesty, this time I'll do it out in the open. 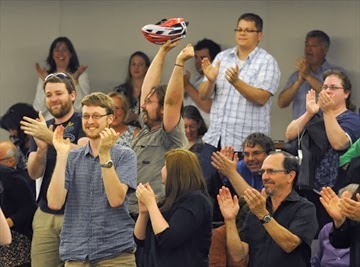 Last night, I spoke at Waterloo city council on behalf of TriTAG, generally supporting a plan that will see Lexington Road gain new bike infrastructure, and sidewalks on one side of the road where none exist at all today. I did take some time to talk about how sidewalks on only one side are "a compromise" and "the bare minimum" but generally we gave Waterloo a pass. A mature neighbourhood, after all. Limited budget. It's understandable. And who wants their kids walking to school along this? At the same time, mood among TriTAG members has been far less charitable towards the city of Kitchener. 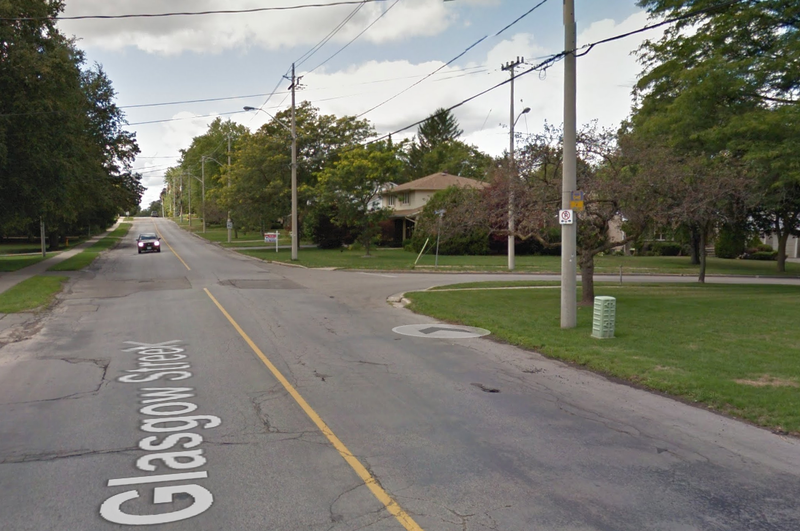 In January, city council there decided to go against staff recommendations and cancel plans for adding sidewalks to the unimproved side of Glasgow St. after local residents showed up to make their case against it. 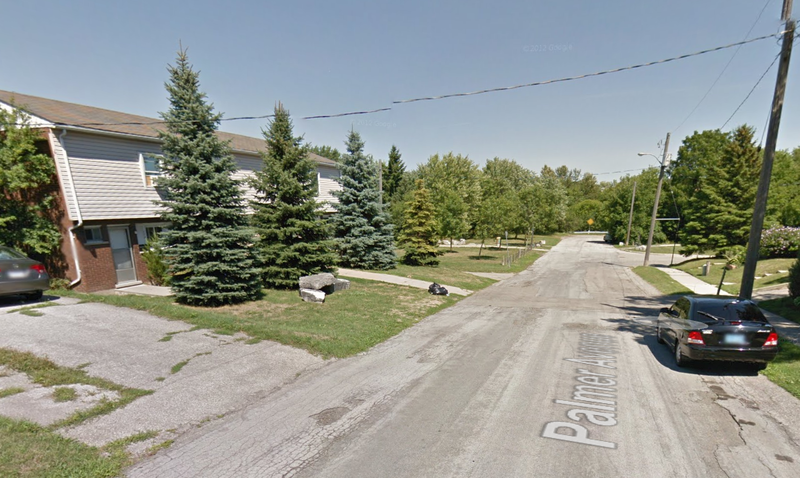 Yesterday, council chose to defer an item regarding sidewalks on the bare side of Palmer and Kennedy streets, near the Courtland Ave. Schneiders plant. The item will be revisited on Monday so that local residents have more chance to react. On their own, these two data points show a disturbing trend: Kitchener city council seems willing to be pushed off sidewalk infill projects on streets that already have some minimal infra. You probably see where I'm going with this, but I should get one thing out of the way before I get to the meat of the matter. Sidewalks on both sides should be the goal on all city streets. Basic pedestrian infrastructure that accesses all destinations are the first steps to creating a walkable city, and missing sidewalks on one side are a barrier to this. The busier the street (and Glasgow is quite a busy street, complete with transit service!) the more important this becomes. The people who you see satisfied with sidewalks on just one side are not the people who you should be thinking about when you eschew access to the other. 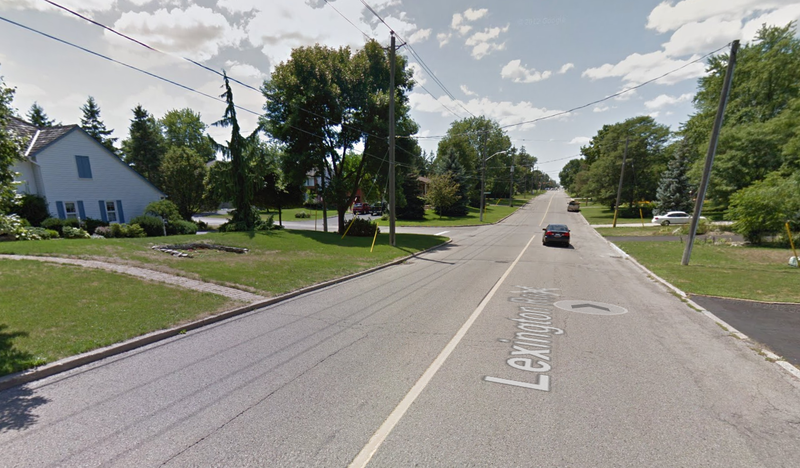 Nothing says "Make transit welcoming" like a bus stop on someone's lawn. Right! Now that we've got that out of the way, I'll address the elephant at the room: it's not fair to excoriate Kitchener councilors for failing to implement second sidewalks on Glasgow St. when I give a thumbs up to Waterloo for a plan that falls short of providing second sidewalks for Lexington Road. Furthermore, deferral on Kennedy and Palmer is not cancellation. So to councilors Glenn-Graham & Davey and mayor Zehr: I apologize. In speaking to each of them, I learned that they all intended to uphold the pedestrian charter and approve additional sidewalks unless there are real legitimate reasons not to. Okay then. We'll see how Monday plays out, but I should have given the benefit of the doubt. Still, I am concerned that Kitchener has opened a Pandora's box, because new sidewalks are always a hot-button issue. One one hand, we need a rich pedestrian network to make a place walkable and we benefit from it. But on the other, sidewalks on our own property are a maintenance burden (because the public will to pay for municipal sidewalk clearing in the winter has not been there) and backfitting sidewalks in mature neighbourhoods often comes at the cost of mature trees, to say nothing of landowners' sense of ownership and privacy. While Palmer is quieter than Glasgow or Lexington, it does connect to the Iron Horse Trail. Furthermore, we made a mess of things a couple of decades ago, going through a phase of extreme car-centrism where we talked ourselves out of a lot of sidewalks. So we're playing catch-up more than we should need to. So there's a strong local incentive to fight sidewalk infill tooth and nail, despite the fact that we benefit as an inclusive, equitable society to get those missing links corrected. If a city government makes its values crystal clear-- we will fill in sidewalks when the opportunities present because we will provide pedestrian access to all parts of the city as a basic right-- then expectations are set, and those who insist that the city compromise its own values for their personal benefit will not be able to disguise their true motives. If instead, the city seems willing to grant exceptions if pressed, they will be pressed every time this topic comes up. I think Kitchener will see that for Kennedy/Palmer next week, and with other projects in the future. 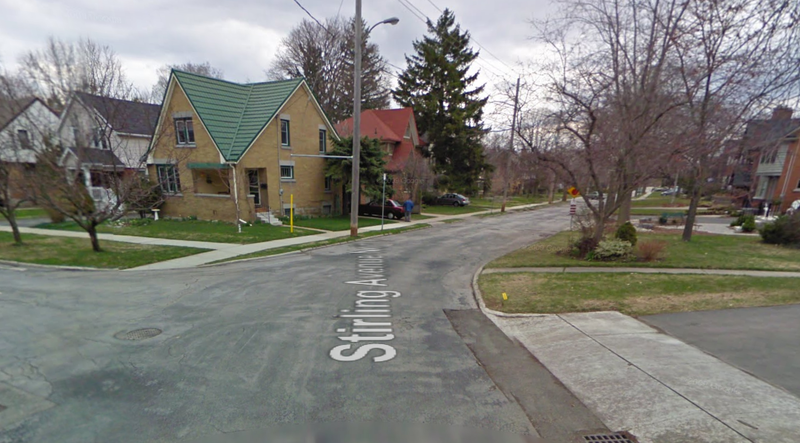 What's special about this stretch of Stirling, that we kick pedestrians over to the other side? Councilors who come to the table with the mindset that sidewalks on both sides of the street are not always a necessity are missing the point that even cases they think are marginal may be worth supporting because it will make the entire strategy easier to defend. They should consider sidewalks on both sides of the street as the expected outcome of any project improving the area, and compromise on that principle only under very extraordinary circumstances. Sidewalk infill should not be done only when it's convenient and nobody minds, or we will all lose. Would that viewpoint make Kitchener councilors view Glasgow St. differently? I don't know. Should we expect it to change the Waterloo plan for Lexington? At least there we saw a concerted effort to mitigate the impact of one-side sidewalks, but fundamentally these two situations are not that different. I don't think we should be satisfied with either situation. Waterloo got a pass because they demonstrated forward motion, bringing minimal infrastructure where it was completely absent, but that doesn't change the fact that they compromised. And as for Kitchener? We need to trust that councilors will stay true to the city's pedestrian charter, think critically about each project calling for sidewalk infill... and not lose sight of the big picture. Trust, but verify. The first test will come Monday. 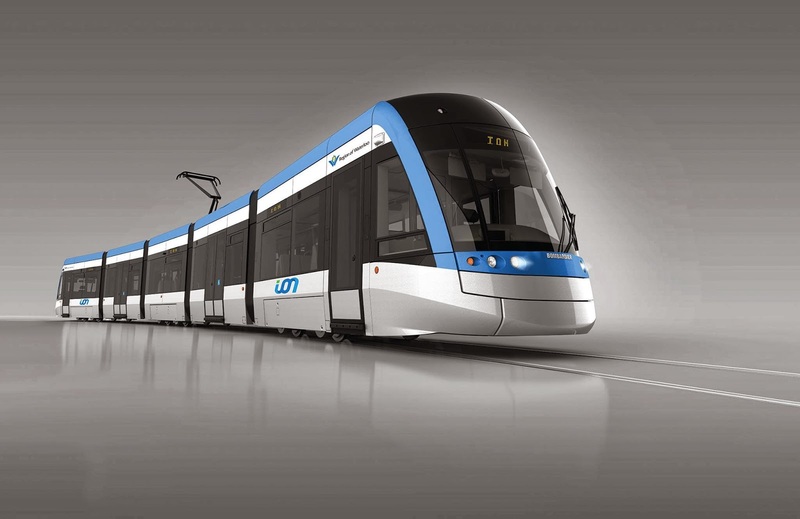 In 2011, I blogged extensively about the decision-making process that led to the approval of Light Rail in Waterloo region. That decision set in motion years of groundwork required before construction could start in earnest. But planning and preparation is almost complete. It's almost time to build! The bids for construction are in. On March 4th, the rapid transit team will bring their recommendation to the Planning and Works committee. This will be the point at which we find out who the preferred bidder was, and what construction cost will be, and whether council intends to approve it. There has been a vocal element in our community who has campaigned non-stop to derail this plan. While some of them are simply concerned about the amount of money being spent, a considerable number will say pretty much anything to tarnish the case for LRT, including outright misrepresentation of how the system works and welcoming cancellation penalties some kind of perverse morality object lesson. 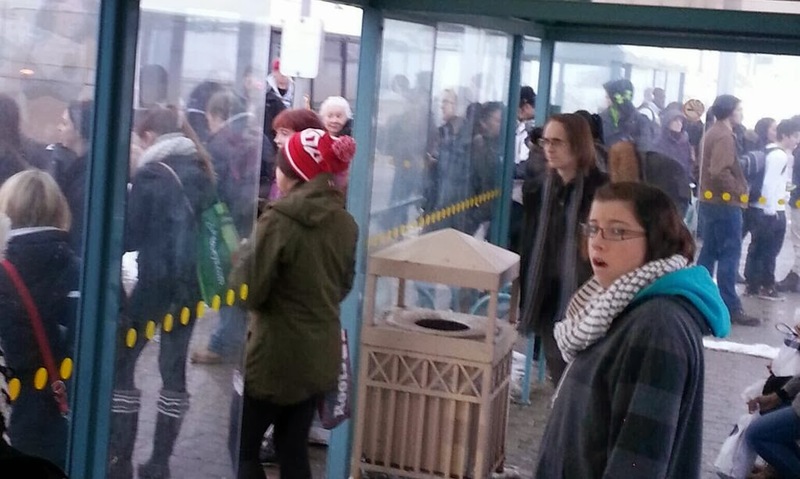 Transit crowd at Conestoga mall wait for a train "from nowhere to nowhere"
And yet, as I wrote for TriTAG recently, the fundamentals supporting LRT have never looked stronger. Go ahead and read that if you'd like to learn more about the change that has happened so far. Basically, the short version is: service is expanding. 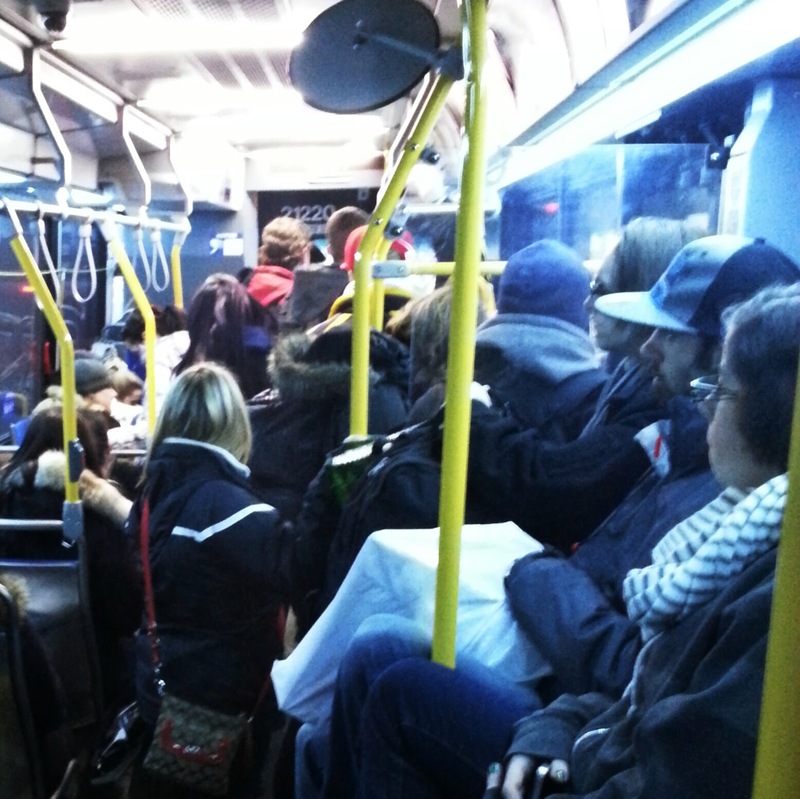 Ridership is booming. This is working. But it's also important to remember that LRT is a key element in a multi-faceted plan to grow Waterloo region in a smart and sustainable way. 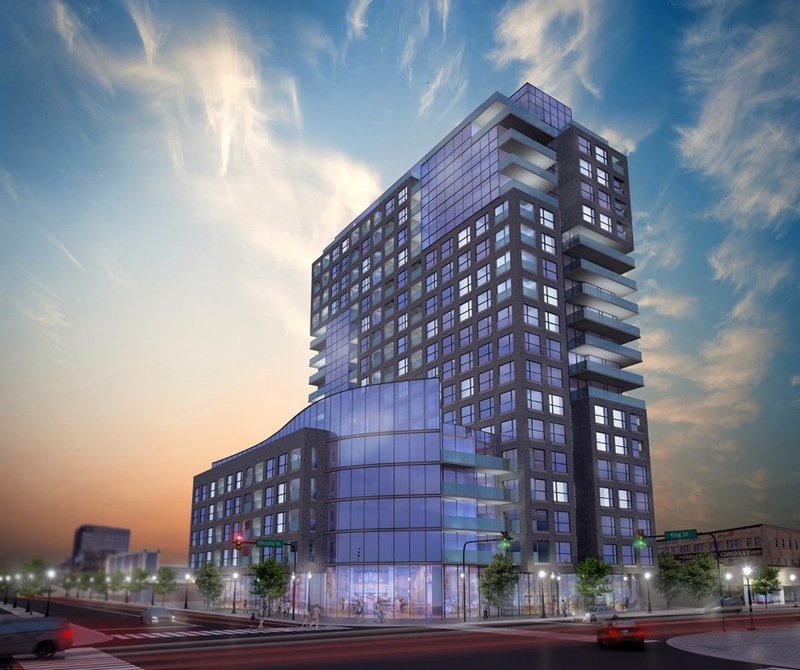 The affordability of our community in the future depends on how we build now. We face a decision: grow up, or grow out. The Active Transportation Master Plan is up for council approval this month, and it is focused on providing the region with better walkability, and the ability to make short trips on foot and by bike. The broader Regional Transporation Master Plan, which includes a transit network redesign to coincide with LRT, aims to flesh out a transportation network to give thousands an alternative to driving. But LRT is the single biggest (and admittedly, most costly) piece of the puzzle, and the one with the highest level of expectation tied to it. It is not meant to just serve demand, but also to shape our city to generate it. By providing a high quality level of service, convenience and permanence, Light Rail is already drawing lots of interest for people to live and work along its route and closer to downtowns. This growth in our core translates into fewer greenfield subdivisions, which directly improves our traffic situation within existing suburban areas. It also lowers the overall reliance on transportation by car, which again means less demand on our road infrastructure, and fewer costly expansions. By shaping our growth in this way, LRT will cost less than doing nothing at all because we don't actually have an option to "do nothing at all". Now, this one light rail line is not perfect (I've criticized aspects of it before) and it will not change the world on its own. As I said before, there are other pieces to this puzzle. They are all important. But it's safe to say that LRT is the linchpin. Without it, everything else we do will have much more muted success. If we blink now, it will be many years before we get a do over. We'll eventually find ourselves drawn back to something like it, because of the fundamentals and the way our region is laid out. But it will inevitably cost more, and we will be fearful of taking the steps we have to, because of our failure to face the future. I, for one, would like to stop talking about LRT. Having approved it twice, there's no good reason for council to change their minds this third time. But the vocal minority grows more vocal and strident, and they still offer no real solution of their own, only the false reassurance that nothing will change. Someone has to say something. But I look forward to having construction underway, and to be able to step back and tackle new challenges. So, if you support this plan, please, contact your councilors and tell them. If you're on the fence, or wonder why I keep going on about this, I urge you to recognize this: We have a thoughtful and progressive regional government that are trying very hard to prepare Waterloo region for the future, with a vision that very few other cities aspire to. It's part of our culture here, to be industrious, to adapt, and to innovate. Ultimately, we have to be ready to sign off on the plan, and take the next step. LRT is our next step. It's a big one. Come with us.